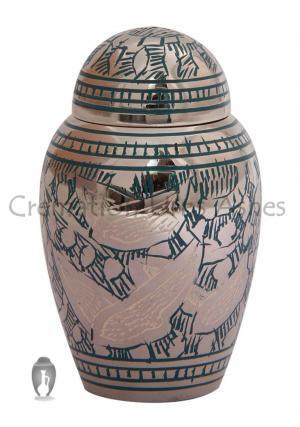 The Going home Keepsake urn is engraved with flying doves that show the path on beautiful hand crafted brass metal urn. 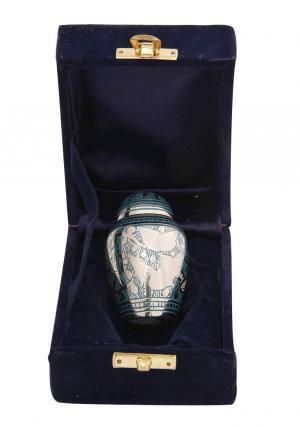 The small keepsake human ashes urn is honored simply with lacquered teal green, which details the flower background. The flying doves represent the passage of life. The urn is swirled around with flowers and decorated in silver bands. 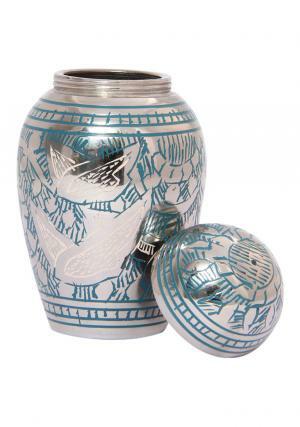 The small keepsake urn has a beautiful dome top lid covered in flower and stripes with secure threading for an easy closure of the keepsake container of ashes. 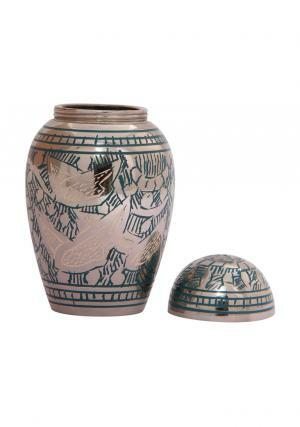 The funeral keepsake urn is perfect present to symbolize the journey after the death does not stand. 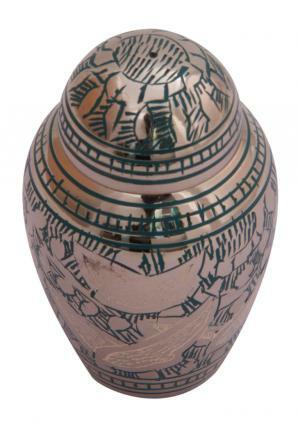 The intrinsic desire of the skilled professionals is to have a memorable urn with a secure threading of the lid and a perfect way to decorate the ashes of the cremated. Memorial urn holds upto 3 cubic inches of ashes and dimension of this urn is 2.95” inches height, 1.77” inches width and weighs 0.14 kg.